Yep. Today, we’ve got actual pictures of those figures that we told you about last Thursday (instead of mock-ups). It’s shame that they are blurry. Regardless, they are pictures of the actual toys. Now that I can actually see these figures FO REALZ, I want one. Look at how cool that Sonic figure looks. He exudes cool. Oh, and Shadow’s here, I guess. Hmm, they actually look like who they’re supposed to. 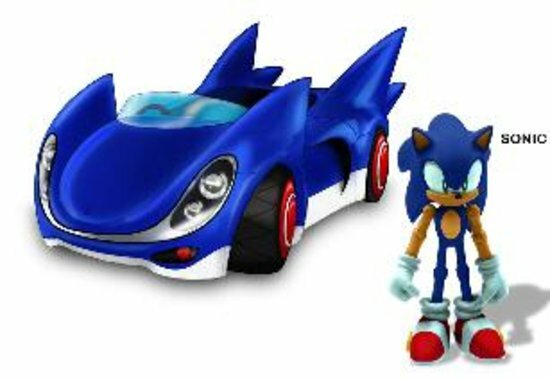 that sonic looks a lot like the Jazwares 3 Inch figure. That’s so lame, they are just the 3 inch figures again, but with cars. Either they haven’t finished the real prototypes yet and these are just stand ins, or Jaswares is planning to just repackage the same figures, trying to get us to buy them again… though it might be worth it for that cool GUN cycle. The figures are real, but the vehicles are still computer renders. Actually- these aren’t 3 inchers. These are prototype 5 inchers, guessing they’re remaking Sonic. Cool. 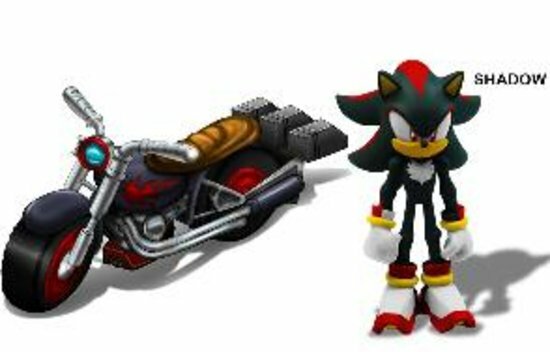 I especially want Shadow (still don’t have a Shadow action figure).